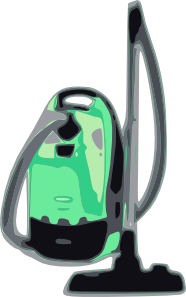 This page talks about the differences between the canister and the upright vacuum cleaner. Which is better? A canister or an upright vacuum cleaner? An upright vacuum cleaner is being pushed in front of the user. The motor and the head are in one unit. It is elongated in shape. On the other hand, a canister vacuum has a wheel for easy maneuverability. Unlike the upright vacuum, a canister vacuum needs to be pulled by the user. One of your major considerations in choosing a vacuum cleaner is whether to go for a canister type or an upright vacuum type. Well, in the end the decision is still yours. But maybe, you may base it according to your existing needs. I have tried both the canister and upright vacuum cleaner. My first vacuum was a canister vacuum since upright vacuum cleaner was not popular before. Here are the things I've encountered which include its good and bad sides. Canister vacuum has wheels which make it easier to be steered around the house. I can even bend easily and use the hose in cleaning under tables and chairs. Aside from that, it could make me reach the hard spots. This makes it easier to be carried around the house or up and down the stairs. Thus, this saves my energy and effort. Because of its short height, I could store it easily in any cabinets without ruining the clothes which are being hanged above. In fact, there are other canister vacuums which are smaller in size. This can be perfect for those who are living in an apartment. I have found out that most canister types have a HEPA filtration system that can really trap down allergens and that are beneficial for those who suffer asthma and allergies. It cost me more for the maintenance of buying the bags and changing the filter even though it had HEPA filtration system. It may be awkward at first to pull it instead of pushing it in front. In cleaning the floor and carpet, I have to do manual changes for the separate head to be installed. Since I can push it in front of me, I love the convenience as I clean around the house. And, I prefer to use it on bigger space with limited furniture and other stuffs. I have different attachments and on board cleaning tools which help me in cleaning the upholsteries, draperies, furniture, carpeted floors, and even the stairs. Some of these are included in the package. But there are also others which I've bought separately. In canister vacuum I will need to bend hardly just to get the bag and replace it. I want the easiness of upright vacuum cleaner in terms with emptying the dust bin. But I have to do it outside so that dust and dirt will not go back inside the house. I use the bagless model. I don't always keep on emptying the dust bin. It takes me 3 to 4 uses until I empty it. It is not best in reaching hard-to-reach spots. However, you may also use other attachments so that you will clean even the tightest areas. Some attachments are needed to be bought and it also costs me more. It is cumbersome to be placed inside the closet. That's why I have put it on separate storage room. It is hard to be carried up and down the stairs because of its shape.